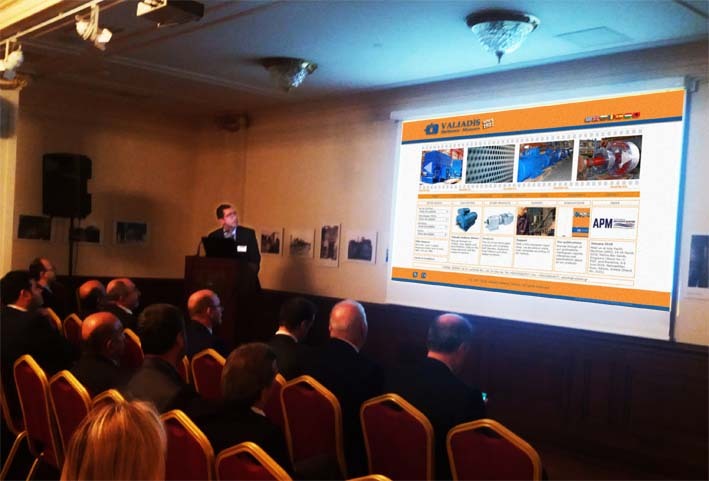 Valiadis Hellenic Motors along with other Greek maritime equipment manufacturers took part in the business meeting event, “Greek Maritime Equipment Manufacturers – Cooperation with Turkish Shipyards & Shipping companies”. The meeting was held at Sismanoglio Megaro, in Istanbul. The event was organized by the great support of the Economic and Commercial section of the Consulate General in Istanbul. During the event we presented our maritime electric motors to more than thirty representatives of the Turkish maritime community. Specifically the event was attended by the following HEMEXPO companies: Aluminox, Kleemann, Nanophos, FEAC Engineering, Prisma Electronics, UTECO, Psyctotherm and Valiadis Hellenic Motors.